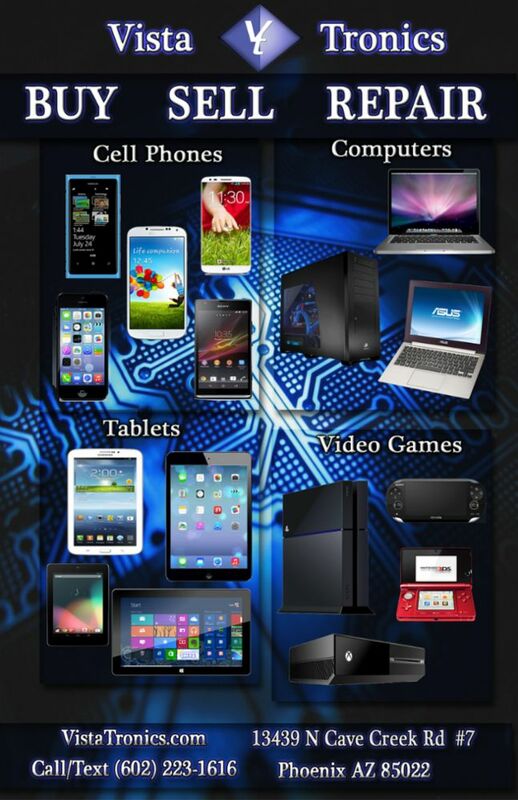 We repair cell phones, computers, tablets, and video game . Also unlocking phones like iphone and Samsung We specialize in all name brands such as Apple, Samsung, Microsoft, Sony, Toshiba, Asus, HP, Acer, HTC, LG, Nokia, Dell, and Lenovo. We also carry accessories for name brand devices. We turned our love of electronics into a business. We strive to keep up to date on the latest information to provide you with the best service. Our team is friendly, knowledgeable, and experienced. Fixr has validated the email provided by Vista Tronics. Fixr has reviewed the content provided by Vista Tronics to match our community guidelines. Vista Tronics has been rated with 22 experience points based on Fixr's rating system.